In recent visits to the area, I have uncovered/discovered assorted remnants of various Trolley Lines and have continuously updated this site with photos "in the field" and maps and links to related info on other sites. 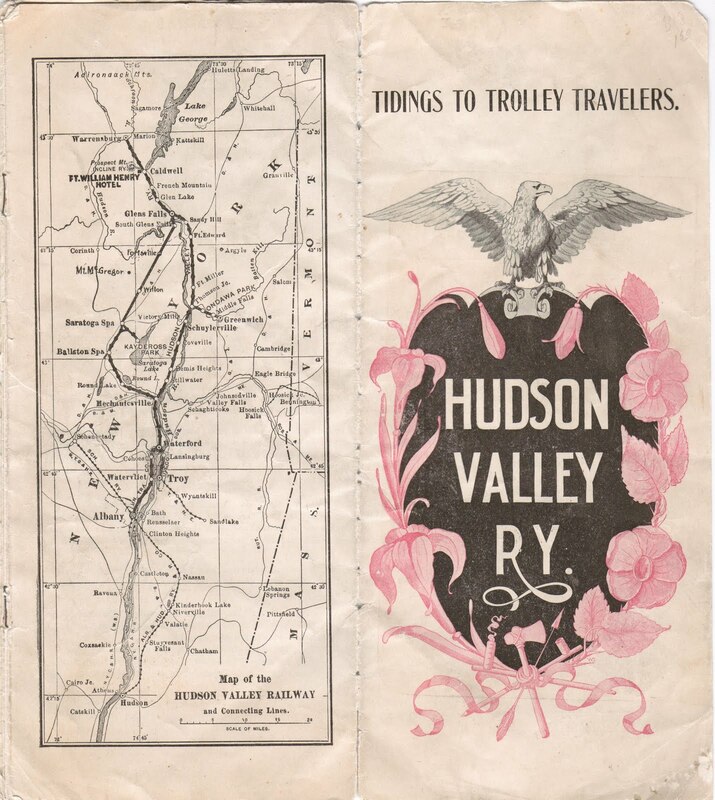 Be sure to visit the links above (Schenectady Railway, Saratoga's Electric Railways, The Hudson Valley Railway, etc. ), It's a fascinating revelation to see what still remains—and all too often, a sad reminder of how this chapter of our local history is so easily forgotten. It turns out the Capital District area was criss-crossed by a large bustling interconnected interurban system. At is peak there where 100s of miles of track built and wired exclusively for electric trolleys that served the area's growing transportation needs. Pan and zoom in and out on the map below for a detailed understanding of the various trolley companies in service in 1924. Did you know the beautiful Saratoga Visitors Center was once the Saratoga Station for this railroad? 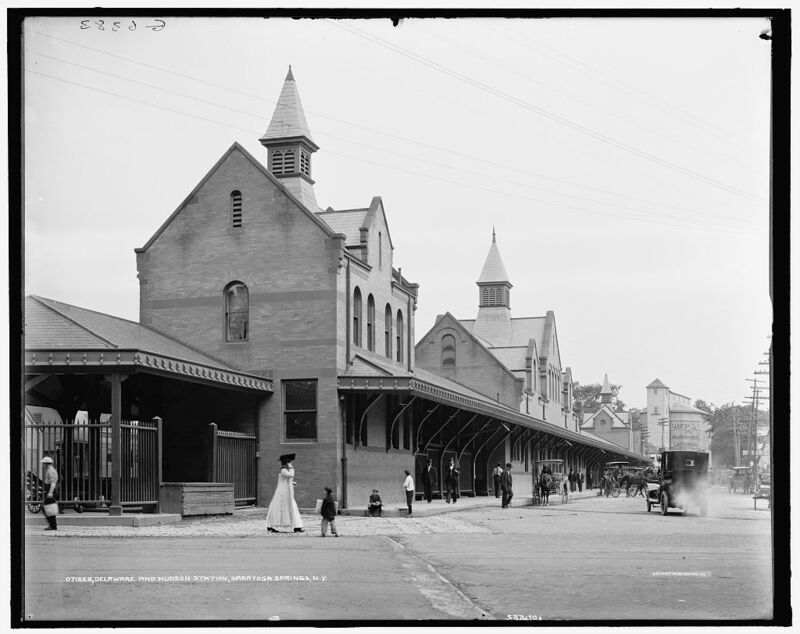 Built in 1908, the Union Station was closed in 1968, and sadly was razed in 1971. Demolition of the Union Station to create parking.